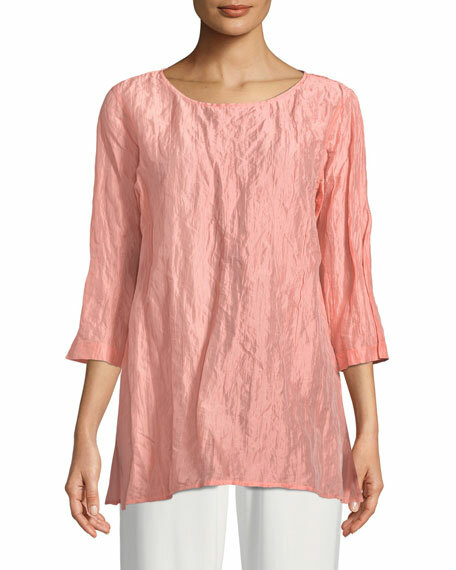 Caroline Rose sorbet crinkled tunic, finished with a subtle sheen. 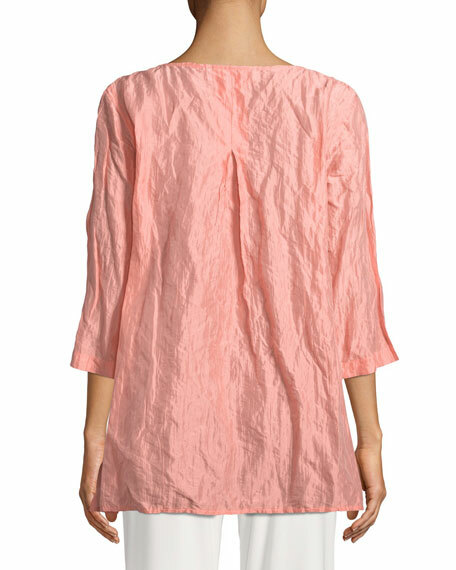 Side slits for ease of fit over hip. 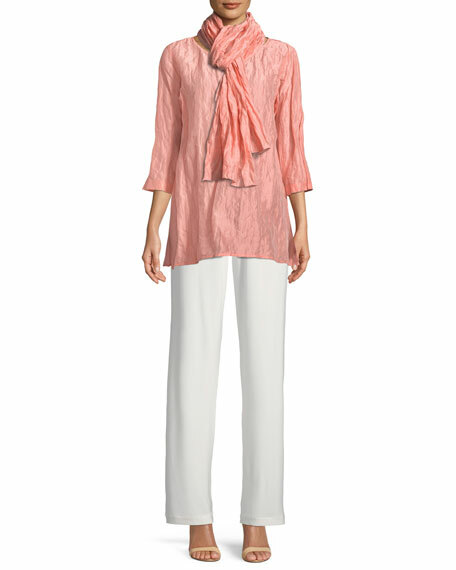 For in-store inquiries, use sku #2507276.